Bringing institutional quality investment management and financial planning to business owners, individuals, and families around the world. We take a comprehensive approach to investment management with investment selection grounded in modern portfolio theory. We find that asset allocation is the primary determinant of long-run portfolio performance. Our focus is on all aspects of your financial well-being. Think of us as the “chief financial officer” for your family. Wealth management clients receive access to invaluable advice, planning and ideas on virtually all types of financial matters. Just Ask. 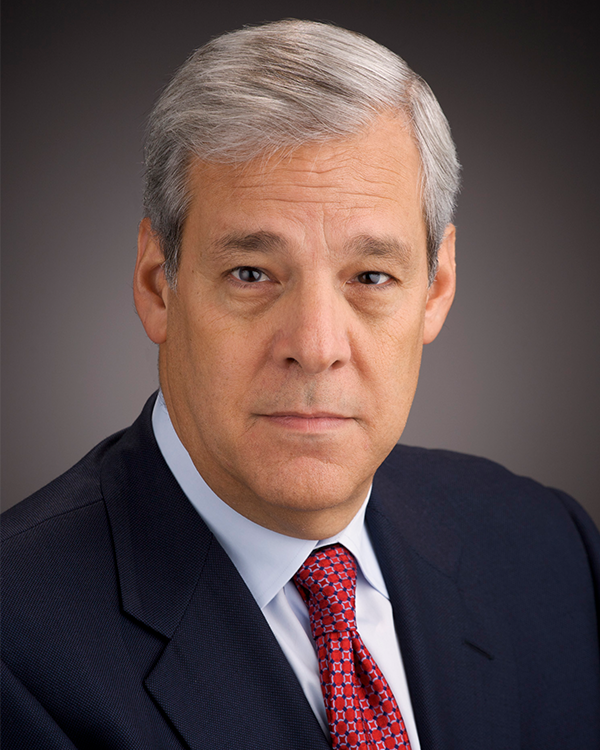 As one of the founding principals of the firm, Bill has been a thought leader in investment analysis and management and is widely recognized for the development of the Portfolio Allocation Scoring System, a risk tolerance questionnaire and asset allocation system first published in The 1984 Dow Jones-Irwin Mutual Fund Yearbook. Bill brings a unique set of skills, experience, and academic foundation to his work at Droms Strauss Wealth Management. He holds a Masters (MBA) and a Doctorate in Business Administration (DBA) and is a Chartered Financial Analyst (CFA) charter holder. 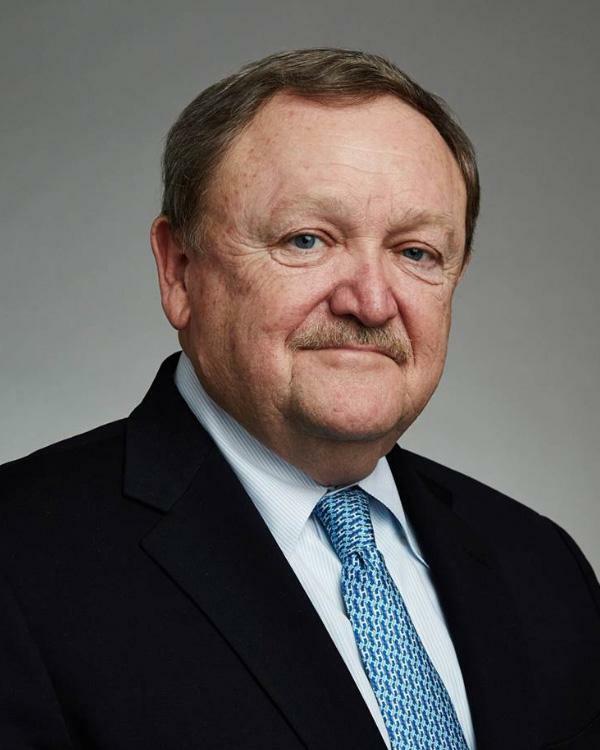 Prior to retiring from academia, he served as the Powers Professor of Finance in the McDonough School of Business at Georgetown University, where he taught finance and investments to undergraduate and MBA students. Bill has also been widely quoted on investment management topics in national publications such as The Wall Street Journal, The New York Times, The Washington Post and Money magazine. For more than 25 years he has been a frequent speaker on the topic of investments for numerous organizations. Bill is a graduate of Brown University and earned his MBA and DBA degrees from George Washington University. Finance and Accounting for Nonfinancial Managers, Fifth Edition, (with Jay Wright), (New York, NY: Basic Books, 2010). Investment Fundamentals, (with Frederick Amling), (Forth Worth, TX: The Dryden Press, 1994). 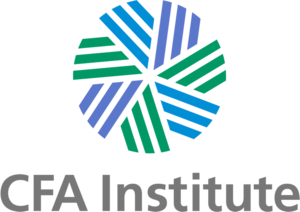 Initiating and Managing a Global Investment Program, (editor), (Charlottesville, VA: Association for Investment Management and Research, 1991). The Life Insurance Investment Advisor, (with Ben G. Baldwin), (Chicago, IL: Probus Publishing Company, 1988). Asset Allocation for Individual Investors, (editor), (Homewood, IL: Dow Jones-Irwin/Institute for Chartered Financial Analysts, 1987). The Dow Jones-Irwin Guide to Personal Financial Planning, Revised Edition, (with Frederick Amling), (Homewood, IL: Dow Jones-Irwin, 1986). Personal Financial Management, Revised Edition (with Frederick Amling), (Homewood, IL: Richard D. Irwin, 1986). The Dow Jones-Irwin Mutual Fund Yearbook, (Homewood, IL: Dow Jones-Irwin, 1984, 1985, 1986). 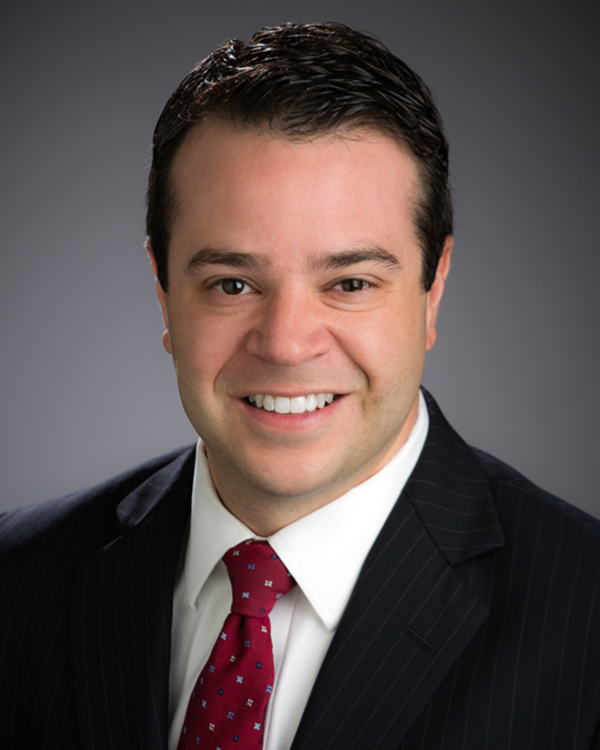 Anthony joined Droms Strauss Wealth Management in 2013, following 10 years of experience at Deutsche Bank and The Hartford as an ‘advisor to financial advisors.’ In 2015, he became a designated CERTIFIED FINANCIAL PLANNER™ (CFP®). The designation comes with extensive training in financial planning, estate planning, insurance, investments, taxes, employee benefits and retirement planning. Anthony became a shareholder in June 2016 and serves on the firm's management committee. Anthony now heads the Droms Strauss investment committee, which is responsible for the construction of client portfolios and for researching and selecting investments for firm clients. He provides clients with conflict-free advice, helping them to achieve their goals in the most effective and efficient manner. Starting with each client's goals and taking their resources into consideration, he develops recommendations specifically customized for each client. In 2018, Anthony was selected to join the All-Star Financial Group, a national association of distinguished CPA's and other credentialed professionals who specialize in financial, tax and investment planning for high net worth clients. Anthony has been named by St. Louis Magazine as a Five Star Wealth Manager. Anthony obtained a Bachelor of Science in finance from Miami University of Ohio. He is an avid St. Louis sports fan and enjoys golf, skiing, and spending time with family and friends. Prior to joining the firm in 2007, Bob taught business and personal finance at the high school level and appreciates that he is still in a teaching role - by helping to educate clients in the various areas of financial planning. In 2009, he became a designated CERTIFIED FINANCIAL PLANNER™ (CFP®). 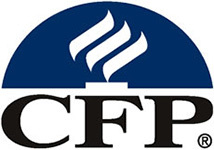 The designation comes with extensive training in financial planning, estate planning, insurance, investments, taxes, employee benefits and retirement planning. Bob works closely with clients and his Droms Strauss colleagues through all phases of financial planning and investment management. He reviews and rebalances client portfolios to their target asset allocations and, together with other team members, Bob works to develop financial plans for Droms Strauss clients. Bob obtained a bachelor’s degree from Wichita State University and an MAT in Business Education from Lindenwood College. A marathon runner, he enjoys hiking, camping and competitive kayaking. 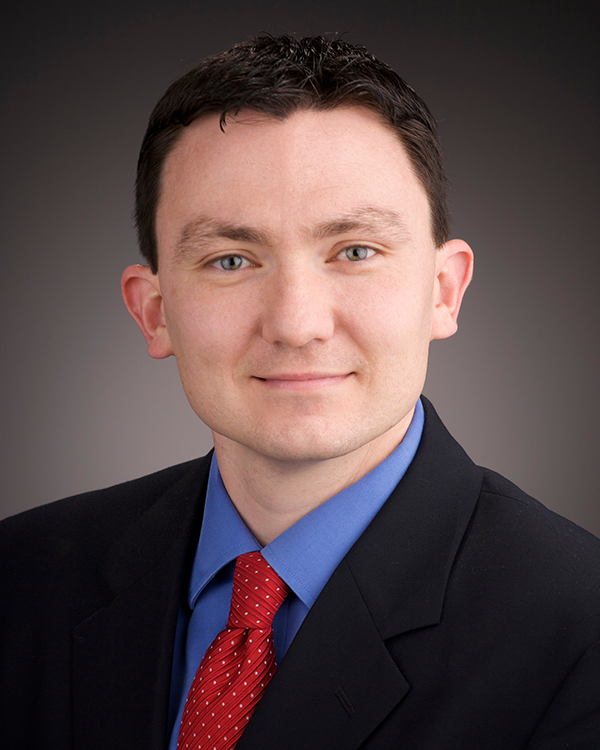 Mike joined the firm in 2009, after 15 years of diverse experience in the financial services industry. His extensive background in estate, financial and investment planning, combined with his own experience, adds a wealth of professional knowledge to the firm. He is highly effective in assisting both the current and next generations to develop long-term, family-focused, financial plans. Mike is responsible for running our portfolio rebalancing software. Mike earned a Bachelor of Science degree from University of Missouri-Rolla. On multiple occasions he has been named as a Five Star Wealth Manager by St. Louis Magazine. Mike enjoys playing golf and spending time with his family. 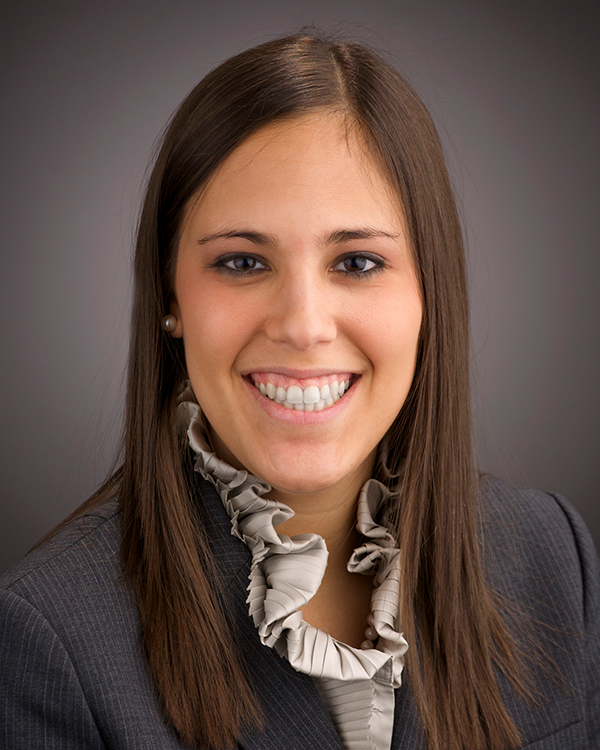 Rachel joined Droms Strauss in 2008 after beginning her career with Wachovia Bank in New York. As a client management associate, she provided private banking and wealth management services for high net worth investors. Rachel became a shareholder in January 2018 and serves on the firm management committee. In addition to her management responsibilities at the firm, Rachel works closely with clients in developing personalized client financial plans and is responsible for reviewing and rebalancing client portfolios. Rachel holds a BA in Economics from Denison University. She enjoys serving on the membership committee at the Saint Louis Club and previously served on the junior board of a St. Louis-based charity, Gateway to Hope. She also volunteers her time serving on the Alumni Advisory Committee of the Pi Beta Phi sorority on the campus of Washington University. Rachel is married and has a toddler son who keeps her busy when she is not at the office. Together with Bill Droms, Steve co-founded the firm in 1995. Steve began his career as a CPA and brings over 35 years of experience as a CPA to the Droms Strauss Wealth Management team. Steve is especially proud of the fact that Droms Strauss, which began as a means to provide planning and investment management for a small group of friends and accounting firm clients, has, through referrals from Droms Strauss clients, grown to be an organization serving clients across the United States, in Europe, the Middle East and Asia. He believes that Droms Strauss has grown, not due to a focus on the growth of the business, but instead, because the firm has always focused on providing the highest level of service and advice to our clients. For nearly two decades, Steve was an active member and innovator in the American Institute of Certified Public Accountants (AICPA) Personal Financial Planning Division. 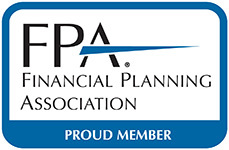 In 1993, Steve co-developed a personal financial planning software, PFP Partner which for many years was widely used by CPAs in providing personal financial planning services. Steve is a member and previously served as president of the All Star Financial Group, LLC, a national association of CPAs specializing in financial, tax and investment planning and management for high and ultra-high net worth individuals. He has been named multiple times as a Five Star Wealth Manager by St. Louis Magazine. 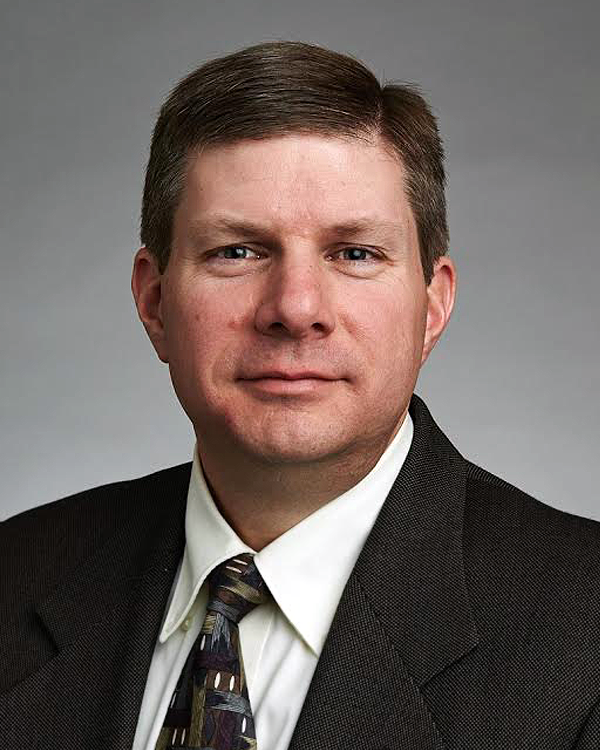 Steve holds a Bachelor of Science degree in business administration from the University of Missouri in Columbia and a Master of Science in taxation from DePaul University. Steve has served on the Board of an Early Childhood Education organization and as Board President of his Temple. Risk and return go hand-in-hand in the capital markets. A fundamental principle of "Modern Portfolio Theory" is that increasing return is accompanied by increasing risk. Historical market patterns are a reliable predictor of how asset classes will perform, at least in direction, if not magnitude, over the long-term. Attempting to time the securities markets by jumping in and out of different asset classes based on forecasts of future returns does not enhance long-term investment results. We never apply a one-size-fits-all solution in your financial and investment planning. The fact is, even when different clients’ long-term objectives seem quite similar, the paths to get there are very unique. How we guide you and the approaches we ultimately recommend, is entirely personalized based upon your specific situation. Early in our work together, we meet with you several times to learn about your current situation and understand your vision for what your life will look like in 10, 20 or more years from now. We then develop various strategies to achieve your financial goals. Once you’re comfortable we have identified the right path, we define an asset allocation plan that’s most appropriate for you. We begin with your present holdings and move into the asset classes and allocations. Our preferred investment vehicles include institutional no-load mutual funds, exchange traded funds, structured notes and separately managed accounts. You’ll receive monthly, independently-produced account statements directly from the selected independent custodian that you can also access online. We’ll regularly consult with you to review the progress toward your long-term objectives. It is normal that new considerations arise, and that your financial situation will change over time. We are here to help you through what can sometimes be tough financial decisions. Beyond your investments, you may want help evaluating insurance options, updating your estate plan, or considering something as routine as whether to lease or buy a new vehicle. With nearly a century of combined experience, we have the expertise to help with cash flow, financial transaction analysis, income tax planning, estate planning, education planning and retirement planning. We strive to meet all of your financial needs, and we are always just a phone call or email away. was founded to bring institutional quality investment management to the individual investor. 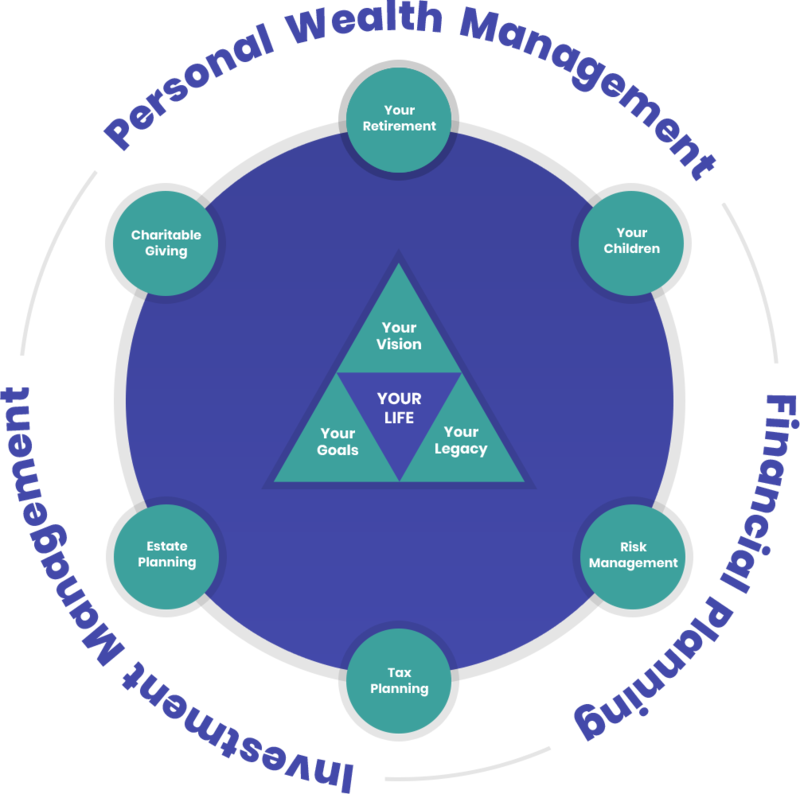 Integrated Wealth Management to Help Connect the Dots. Click each planning tool for more information. Wealth Management to us means providing you with advice and guidance on all financial decisions for you and your family. Droms Strauss is a fee-based, independent, SEC registered investment advisory firm, providing unbiased investment advice with nearly a century of combined experience. Our team is eager to work with you and help you turn your investment goals into reality. 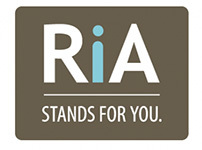 We help our clients achieve financial independence...not necessarily "retirement" but instead, having the ability to have the life you look forward to and knowing you have the financial ability to step away from you job or career - even one that you might enjoy so that you might realize other long term objectives. This is included in our fee and part of what we offer to every client. Young couples, and frequently grandparents, ask about planning for the education of children or grandchildren. We regularly/routinely prepare education funding computations so that parents and grandparents can plan for the education of their children. Whether it involves long-term care planning, a review of existing life insurance policies or something as mundane as a review of your home and automobile liability coverage, we can assist you in determining whether you have the proper coverages. We are not insurance agents but we do know what to look for in your policies and determine whether or not you need to make changes. Are you struggling to understand how the new tax laws impact your family? We can help you determine what strategies can be used to minimize your income taxes and can structure your investments to minimize your tax burden. Do you have an up to date estate plan? We regularly work with attorneys to make sure that your plan documents are current and achieve your dispositive objectives and meet all of your concerns. Do you use appreciated securities for your charitable giving? Have you considered how a donor advised family fund might actually save you taxes and be used for your annual charitable giving? We can help .... from explaining the concepts all the way through execution.